Dubai is a city that must be seen to be believed. Record-breaking architecture stands alongside traditional quarters, while man-made islands jut out of the coastline. With world-class dining, incredible infrastructure, myriad shopping experiences, luxe spas and fabulous hotels and resorts, there are activities to suit all types of travellers. The city has a plethora of annual events, from unparalleled New Year's Eve celebrations and Dubai Shopping Festival in January to the Dubai Food Festival in February, which showcases beachside canteens, live celebrity chef demonstrations, restaurant promotions and much more. For sporting events, don't miss the exciting Rugby 7s in December or the fabulous World Cup races in March. Dubai has put itself on the map as a global theme park destination with the exciting opening of Dubai Parks and Resorts and IMG Worlds of Adventure. For more of current attractions, make sure to explore Dubai Opera, Etihad Museum, Dubai Water Canal, Kite Beach and Outlet Village. 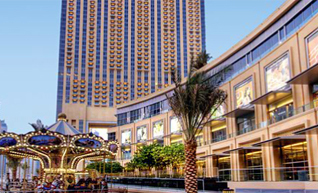 Deira Shopping Centre is one of the popular shopping areas in Dubai. 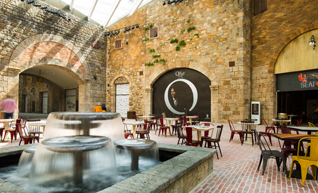 With over 370 stores, the mall has everything, right from an optician and pharmacy to a jewellery and textile court selling Middle Eastern handicrafts, multiplex cinema, Carrefour supermarket, a bowling alley, and not to forget the bustling food courts. 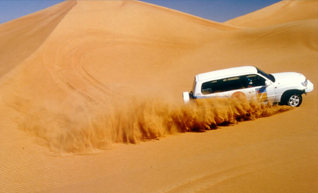 Dune Bashing is one of the iconic activities in Dubai that one can engage oneself in all year round. 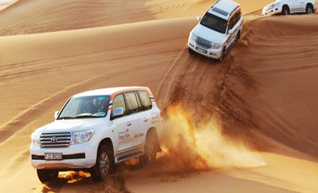 Experience the deserts of Dubai in a 4x4 vehicle. Click amazing photos during sunset when the desert converts from day into night in with a dazing show of warm orange and red hues. 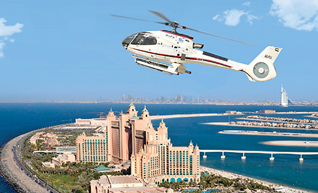 Take a helicopter ride through the scenic and modern city of Dubai. You can witness Burj Khalifa and the world famous Burj Al Arab in full glory. Get a view of the old and new Dubai as you fly above the traditional gold and textile souks and cross the imposing skyscrapers. Dubai is popular for really cheap gold but you'll have to bargain for it. Even if you are not purchasing anything, a stroll through the dazzling Gold Souk is a must. Ensure to visit the Gold & Diamond Park for good bargains on precious jewelry. 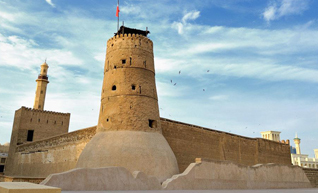 Dubai Museum is the pride of Dubai and occupies the sturdy Al Fahidi Fort, which was built around 1800. It’s one the oldest monument in the city. A walk-through mock souk exhibit on Bedouin life in the desert and a look at the room highlighting the importance of the sea illustrating the days before the discovery of oil will give you an insight to actual Dubai. 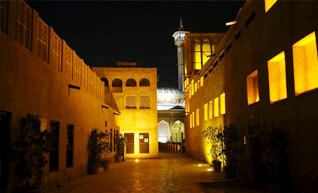 One of the oldest quarters of Dubai - Bastakiya is extremely interesting as it offers guests to witness Dubai’s glorious past. No modern shopping malls and large office buildings can be found in this region of Dubai which gives this section of Dubai a sense of authenticity. Located in Jumeirah and facing the splendid Burj Al Arab, the Wild Wadi Water Park offers 30 thrilling rides and other attractions. 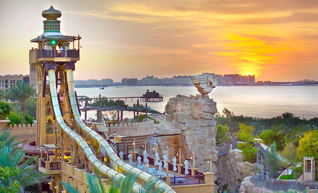 It is one of the best recognized outdoor water parks in West Asia. 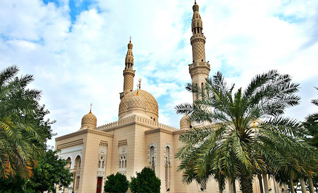 It’s the only mosque in Dubai that allows non-Muslims to enter. It offers a glimpse into Islam’s rich heritage, which is often marred in the current world. Built on the lines of the medieval Fatimid tradition, this iconic mosque is also a must visit during your Dubai Trip. 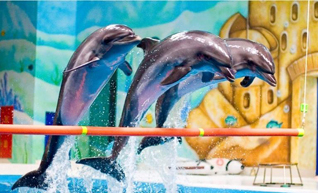 Dubai Dolphinarium is located within the picturesque Creekside Park in Dubai at Umm Hurair and has become one of the city’s greatest amusement venues including Coral Reef Aquarium, Fish Farm, Gatorville and a research therapy center. The main aim to develop this unique facility is to primarily educate and entertain visitors of all ages while emphasizing the need for the conservation of dolphins and other endangered aquatic species in a safe manner. The walk down the spice souk takes you to another era altogether. 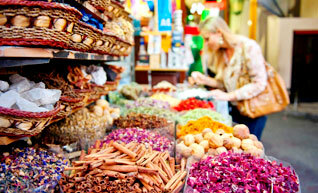 There are narrow streets which are lined up with shops selling all varieties of spices and herbs. The fragrance in the area and the beautiful colors of spices will take you to a different world all together. 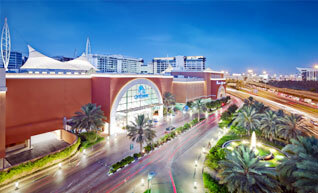 With over 96 malls across Dubai, the shopping lovers will go crazy for sure. There’s no better place to find that perfect dress, exquisitely tailored suit, or the exclusive gold jewelries than Dubai. But Dubai’s shopping malls are not only about retail therapy, they are a one-stop destination for relaxation and fun too. World’s largest mall, The Dubai Mall has something unique for everyone, including the Dubai Aquarium & Underwater Zoo and Olympic-sized ice skating rink. Under one monumental roof, you’ll find 1,000-plus retailers, including high-street favorites such as department stores such as Bloomingdale’s and Galeries Lafayette and Topshop and Zara. 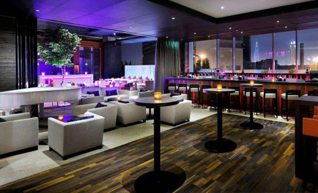 It is one of Dubai’s most Instagrammable venues which feature high style costumes, cosmetics. Situated between Downtown and Jumeirah Beach, the new City Walk will redefine your shopping experience in Dubai. It is one of Dubai’s new luxury outlet mall includes three department stores, over 125 brands as well as premium food and beverage outlets. Mall of The Emirates has recently opened a brand new shopping wing featuring Dubai’s new Apple store, favorite dumpling house Din Tai Fung and another hipster cafe, amongst other luxury stores. 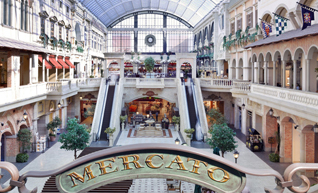 Mercato Mall mimics the sights and feel of a Renaissance-era Italian village. You can choose from international retailers such as Laura Ashley and Jack Wills as well as plenty of bakeries like Cakery Epicerie by Stephane Glacier. Beside the beautiful intricate interior design, Ibn Battuta Mall is a treasure trove of lifestyle, fashion, and sporting shops with regular in-store promotions and celebrations. 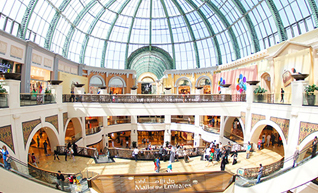 Located on the Sheikh Zayed Road, the mall has lifestyle/department stores, restaurants and a multiscreen movie theatre. 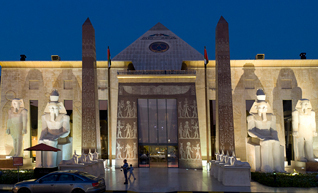 Housed in instantly recognizable Ancient Egyptian architecture, the iconic Wafi Mall comprises of Middle Eastern fashion boutiques offering the latest in kandoras, burqas and abayas. 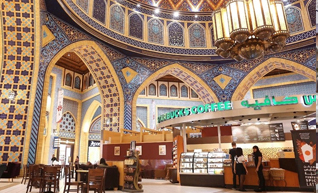 Visitors can immerse themselves in an Arabic shopping experience with ease. 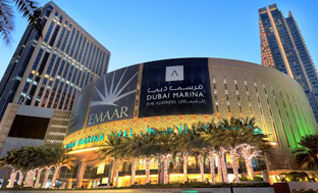 Situated on the shores of the marina, Dubai Marina Mall provides a casual family shopping experience. It houses a variety of international retailers with an emphasis on affordable high-street fashion and beauty services in a relaxed atmosphere. 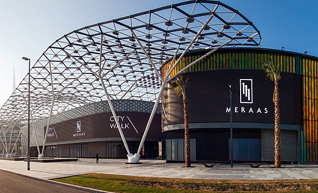 Located on the outskirts, the Dubai Outlet Mall is worth the long trip you take. It’s a place for bargain lovers. 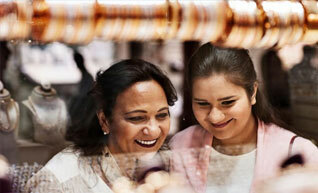 Visit the Dubai Outlet Mall on Monday to get reward with further discounts of up to 50 percent at selected stores. 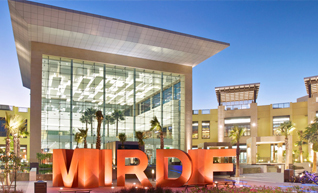 Located in the residential district of Mirdif, the mall has over 430 stores. 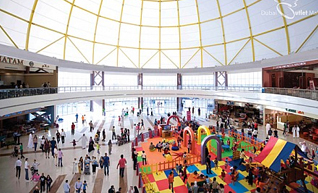 With 12 entry and exit points, the mall is quite spacious and houses unique fun and entertainment venues, shopping, fitness joints, and food places. If you are a foodie, then Dubai is the heaven. The city has restaurants with cuisine from all over the world. However, the specialty is Dubai’s own Arabic delights. Restaurants in Dubai are not simply for relishing your food, they have stunning decor, amazing sea or skyline views and not to forget a lifetime memory of culinary experiences. Enjoy one of the best dining experiences at Armani Hotel which offers a great variety of tandoor and grill in their menu. Their cuisine takes you from the heart of India to authentic Italian culinary delights and Arabian to Japanese cuisine. 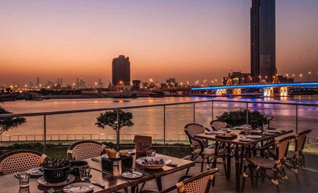 The most extravagant restaurant in Dubai boasts of some of the best and lavish dining arrangements with multicultural cuisines serving exquisitely traditional flavors, combined with a fresh Ingredients and modern twist. 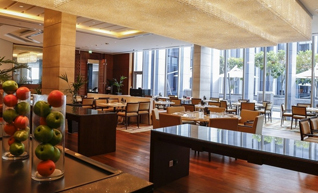 An award winning Italian restaurant in Dubai which got a wide selection of finest international cuisines. The specialties are southern French and Italian cuisine. This is new to Dubai arena. 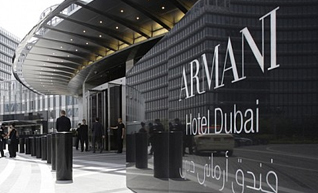 It has got 5 stars and is located on the 122nd floor of Burj Khalifa. 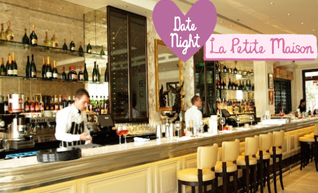 The restaurant is known for its seasonal dinner menus with a three multi-course meals. The multi-award winning* elegant Japanese Restaurant and Lounge serves up unique signature dishes which are created by celebrity super chefs. The cutting-edge service, style and design, makes OKKU a hot favourite. Located at the ground level of Atlantis the Palm, Nobu restaurant serves delicious Japanese/Sushi signature menu that combine with a mixture of traditional Japanese dishes with South American spices. 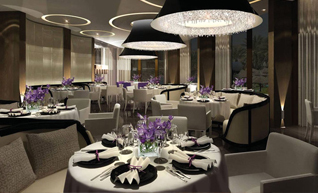 Dubai's renowned European restaurant offers unique dining experience whether for a special night or a weekend celebrations. 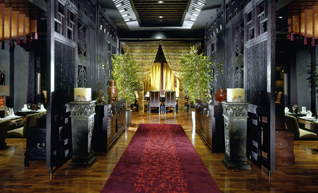 A luxurious dining restaurant which has a wide selection of Arabic, Asian, and Western culinary options on its menu. Taste traditional and contemporary Italian cuisine at rooftop bar that has an breathtaking city skyline view. This is heaven for Italian food enthusiasts. Dubai is a paradise for countless extreme sports and adventurous activities and offers real action on land, sea and in the air. 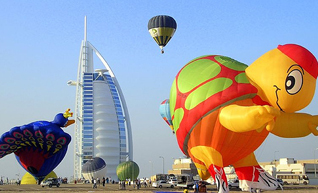 Have a quick look over the most exciting outdoor and indoor activities in Dubai. 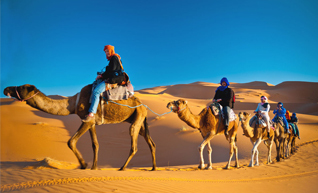 The most extravagant adventures activities include the sand boarding, sand bashing and cultural activities. 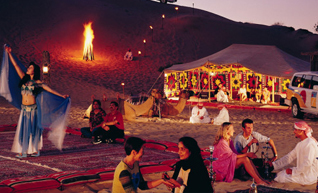 Traditional camel ride offers stunning desert drive, entertainment & dinner at Bedouin desert camp. Enjoy the thrilling desert experiences on an exciting 4-hour morning tour in a private 4x4 vehicle with professional drivers. 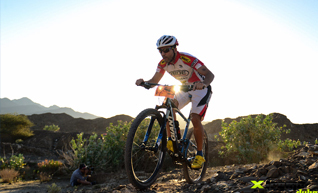 Ride with world's most experienced pilots to see the most stunning views of Dubai city and beautiful golden desert. 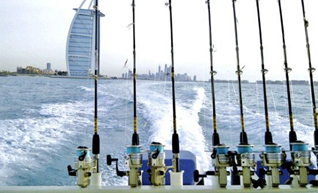 Enjoy the non-stop action of 4 hours deep sea fishing on private yachts and also provides mesmerizing night fishing experiences. 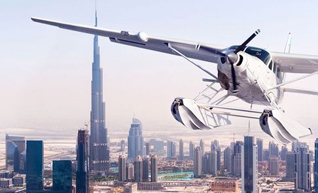 Visualize the unique aerial views of Dubai city including sightseeing excursion across UAE. 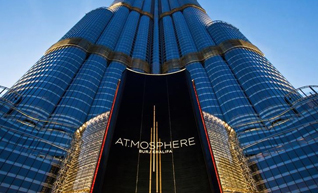 Take a 12-minute helicopter ride from Dubai Festival City to iconic Burj Khalifa. Take an ultimate skydives over Dubai city for amazing high-flying views. 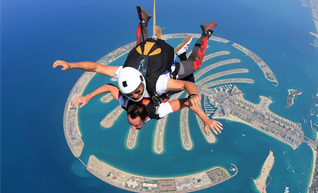 iFLY Dubai and Skydive Dubai are two places you shouldn’t forget to visit if you are an adrenaline junkie. Imagine yourself to drive on soft sand dunes. Emirates Kart Centre & Just Gas It is the place to go if you love motorsports. 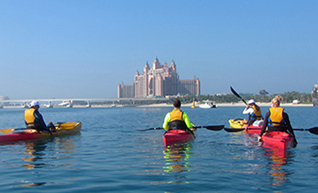 With access to still gentle waters throughout the year, Dubai is perfect destination for sea kayaking. A call or visit to the Noukhada Adventure Company, Abu Dhabi Ocean Warriors, and Al Boom Diving will satisfy your adventure soul. 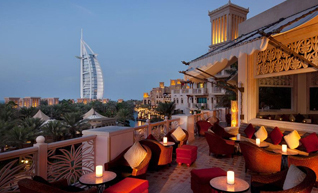 Dubai’s claim to fame is its vibrant nightlife. Apart from the parties and bar’s one can also indulge in various recreational activities that take part only after the sun set. And these things to do in Dubai at night give one a chance to explore the shimmering city post dawn. 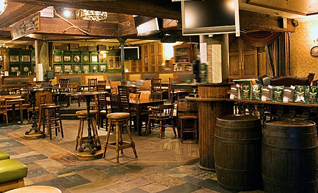 Unique décor, the best Irish and international entertainment, delicious Irish food & drinks, and sporting events are the ingredients that have made McGettigan’s Irish Pubs such a big success in Dubai. The Belgian Beer cafe offers a warm welcome, matched with the best views in Dubai. Belgian Beer Café offers a wide range of Belgian specialty beers, ranging from the renowned brands to local beers. 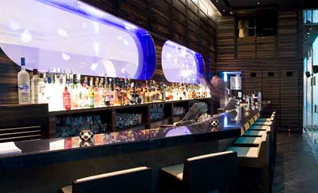 The exotic bar takes sophistication to new heights. Indulge in a fusion of delicious flavors with an innovative new menu inspired by the cuisines of Japan, China, and Thailand. You can also enjoy the selection of delicious hand-crafted cocktails, courtesy of Buddha-Bar’s expert team of mixologists. 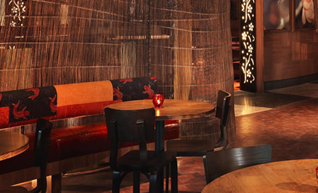 This is a richly decorated nightspot with a vintage Arabian feel. 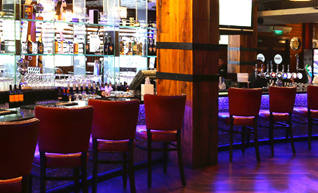 It is undoubtedly cozy, with its plush booths and Arabesque awnings dividing the venue up into little booths. It’s a great way to finish a day’s exploring. 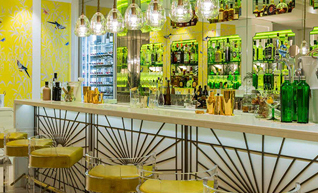 At Koubba Bar, you can enjoy delicious pre-dinner drinks in the bars beautiful surroundings, with sunset-themed cocktails from our mixology trolley to complement the moment. Softly lit and lush spot is surrounded by greenery and pathways, live band outdoor seating, a sports bar, and an amazing brunch. The food is delicious and features typical bar grub food. 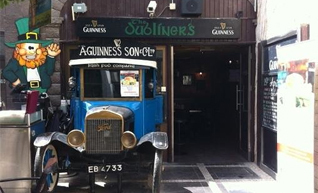 This place is quite famous for The Big Fat Dubliner's Brunch ever Friday. 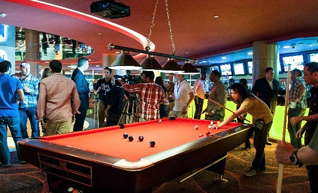 Qube Sports Bar consists of a huge, four-sided screen at the center. An up-market sports bar. 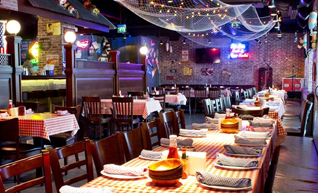 This unique venue features games tables, state-of-the-art big screen technology, and an extraordinary menu. Food and drinks are distinctly Irish in Fibber Magee’s. Mouth watering items - cottage pie and fish and chips, bangers and mash, as well as drams of imported famous Gaelic short drinks are the highlight items of Fibber Magee’s. Bring out your inner child as you enjoy this mesmerizing fountain in Dubai. 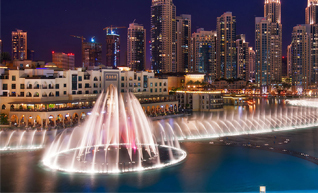 Dubai Fountain has an array of performances daily, with a repertoire of over 35 songs. 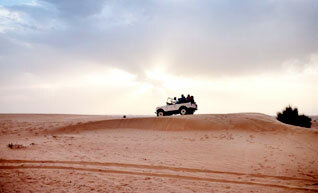 There is no better way to explore Dubai than indulging in a traditional Desert Safari. Relish the lip-smacking charcoal cooked Middle- Eastern cuisine while enjoying a delightful belly dance performed by the trained artists and dancers. Claw is one stop destination that promises some super 80’s classic films and amazing food. What makes this Claw BBQ unique is not only their vintage movie collection but also for their customized food and drinks menu depending upon the film that is being screened for the night. Cancel for any reasonGet 80% refund. No questions asked. Anniversary Sale - Save up to 15 KWDUse Coupon: HAPPY4 to get 4 KWD Karam+ & earn 8 KWD Cashback. Use 3% up to 3 KWD Karam Cash. OOREDOO SPECIALUse Coupon: OOREDOO & Get Amazing Discounts on Flights & Hotels, Check Details. 24 KWD off on First Flight Booking on AppGet upto 24 KWD Off on Your First Booking. 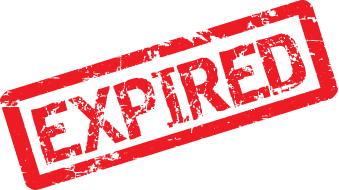 Use Coupon: APP11. Check Details. App Exclusive OfferGRABAPP & get 20 KWD Off on flight bookings. App Exclusive OfferGETNOW & get 20 KWD Off on flight bookings. Huawei Exclusive OfferUse Coupon: REHLAT27 & get flat 27 USD Off on bookings above 130 USD. Your Holiday is Waiting!12 KWD Off on Your Flight Booking. Use Coupon: SECRET. Check Details. Karam to Karam+How to Convert Karam Cash to Karam+?